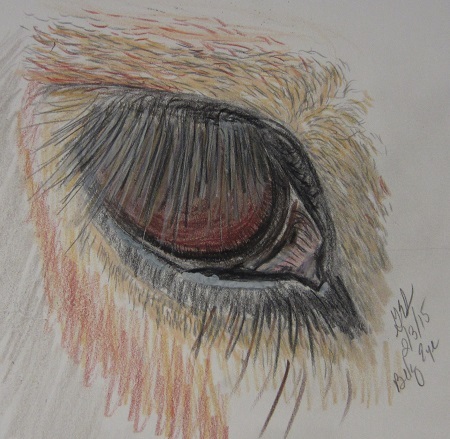 A Belgium draft horse, belonging to a dear friend, became my subject matter for today’s drawing of an eye. I love going out to their farm to see the critters. Giant horses, sheep, and plenty of wildlife. During the summer, their garden is huge! So much time and care involved with everything on the property. We keep hoping to move out to their area and have a small farm of our own, but it’s an amazing amount of work! I feel so lazy these days after so many family filled years. Oh well, eventually we’ll find a better place to live. Two days down for the 28 day challenge! Crazy eyelashes! I’m doing this challenge too, drawing each day in February.